Humane Society International Australia (HSI) 9th October Media Release, called upon Prime Minister Turnbull to call a halt to the disastrous and seriously faltering program to hand the Commonwealth’s environment powers to the states and territories, and to remove the “one-stop-shop” Bill that would permit such devolution. “It was the Howard Government, in which Mr Turnbull served as Environment Minister, that worked so hard to strike a sensible balance between national and state roles and responsibilities for environmental issues and it’s time to restore that balance,” said HSI Australia Campaign Director Michael Kennedy. The Australian Government is committed to delivering a One-Stop Shop Bill for environmental approvals that will accredit state planning systems under national environmental law, to create a single environmental assessment and approval process for nationally protected matters. 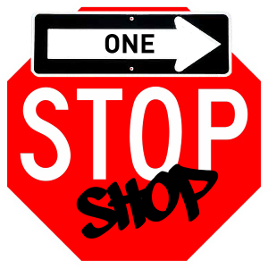 The One-Stop Shop policy aims to simplify the approvals process for businesses, lead to swifter decisions and improve Australia’s investment climate, while maintaining the facade of high environmental standards. It’s expected to result in regulatory savings to business of around $426 million a year, by reducing costs associated with delays to project approvals and administration. This policy is about savings for businesses, more convenience for planning approvals, not stronger environmental protection laws! 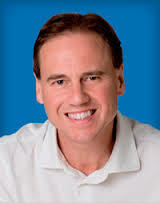 Federal Environment Minister Greg Hunt says that the “one-stop-shop will slash red tape and increase jobs and investment, whilst maintaining environmental standards.” One of the major obstacles to creating a one-stop-shop for environmental approvals is that “Australia’s federal system of government is more like a scrambled egg than a neatly layered cake”. Despite the wide range of ecosystems, territories, issues, biodiversity, and landscapes, they will all be unified under one process! It will wind back 30 years of legal protection for the environment and put at risk Australia’s World Heritage areas such as the Great Barrier Reef, Kakadu and the Tasmanian forests. On the contrary, we need MORE red tape to STRENGTHEN our environmental protection laws, not have them more easily processed! It’s one-size-fits-all approach, of the Federal Government handing over approval powers to the States, for “development” projects! The latter should raise the red flag – on what should be for the benefit of conservation, biodiversity protection and upgraded protection laws, rather than for businesses and “development” approvals! So, this is about stripping back layers of approvals, and complexity, to make businesses more competitive, create “jobs” and increasing “productivity”, not more layers of environmental protection! Biodiversity offsets allow developers or mining companies, as part of their development approval, to buy and/or manage land to compensate for the clearing of forests and areas containing threatened plants and animals. They are supposed to be used as a last resort but have become standard practise in assessing major developments in Australia. State standards for environmental assessment and approval for major projects under the Australian Government’s “one stop shop‟ policy would mean more biodiversity offsets, and lower conservation standards in NSW and Queensland. The use of offsets under EPBC can be multiplied tenfold when it comes to state based offsetting regimes. It is these very regimes that the government is currently looking to accredit as approvals regimes under the “one stop shop” policy. Native species of animals can’t just be expected to adjust to “offsets”! They are not meant to be pieces on a chessboard, to be moved by business “players” for their convenience. A report by the Environmental Defenders Office (EDO) warns against relegating environmental approval powers to state governments, saying the environment will suffer. State governments are seeking to ‘fast track’ major developments, such as coal mine and coal seam gas projects, reducing public participation and removing legal rights of local communities to mount legal challenges. The EDO report shows the gap between the environmental standards in state and national laws is widening, not aligning! plans and the listing of key threatening processes. There is no wriggle-room for State vested interests! With almost 1200 plant species and 343 species of animals considered endangered or vulnerable, the rates of species extinction in Australia are amongst the worst on the planet. best practice threatened species legislation. Places You Love Alliance — Australia’s largest ever environmental collaboration, representing more than 40 conservation organisations across the nation — said a ‘one-stop shop’ for environmental approvals was in practice an ‘eight-stop shop’ that would create an administrative nightmare and significantly weaken protection for Australia’s unique places and wildlife. “A ‘one stop shop’ would leave state governments in charge of assessing uranium mines and projects that would affect World Heritage areas and internationally recognised wetlands,” said the Australian Conservation Foundation’s CEO Kelly O’Shanassy. If the One Stop Shop policy is implemented, Minister Hunt can simply hand over his powers for this project to the Victorian Government, which has a clear conflict of interest in the Westernport project as both the proponents and regulators. Under the One Stop Shop, the approval of the Hastings port expansion will be a fait accompli. The One Stop Shop policy will remove the last vestiges of federal oversight. Since 1997, most native forests available for logging have been covered by RFAs. These have shielded wildlife and other heritage and conservation values from protection under Commonwealth environmental law by handing decision-making power to state governments. This is the same mechanism as the Commonwealth government’s proposed ‘one stop shop’ plan. It is clear that the ‘One-stop-shop’ process would never raise the bar of state environmental laws, but would put in place a patchwork of different legal regimes that are far weaker than current Commonwealth conservation law, and inevitably trigger a new round of NGO legal challenges at the state and territory level. Thank you for sharing this article! !